Clothing is something that we use in our life every single day and at times it can be a hassle. There are so many different things that can happen to your clothes. 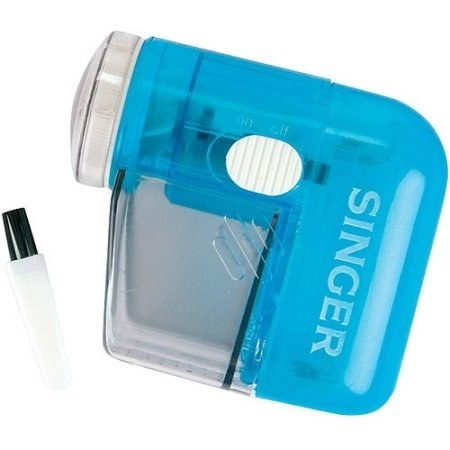 You can out grow them, spill something on them, and accidentally shrink them in the dryer. 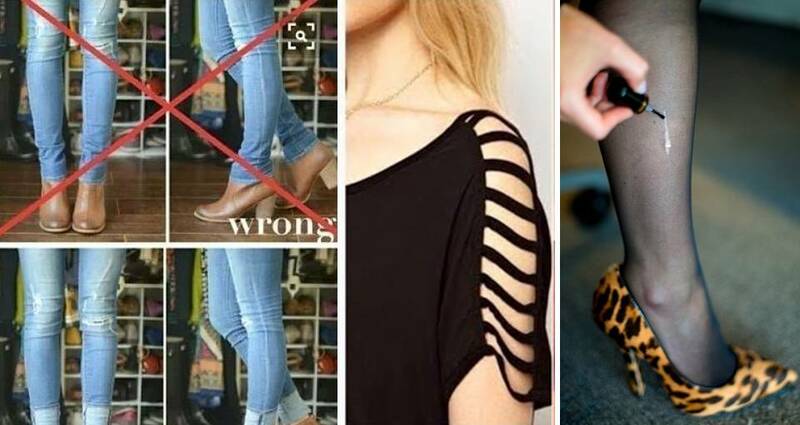 Instead of running to the department store the next time you have a clothing catastrophe, you must read this list first. 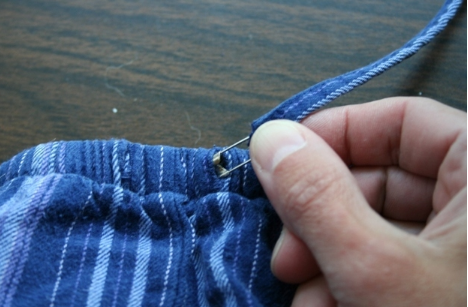 The most common clothing problems can be solved with just a few simple hacks! Hacking your wardrobe will save you time and money. Skip the expensive stain removers and buying new clothes. You can make your current wardrobe look even better without spending a dime. These clothing and shoe hacks are for both men and women alike. They are guaranteed to save you money and help you better your look for less. Many things like stain removers and fabric softener can be very expensive, and we teach you how to be thrifty with what you already have around the house. 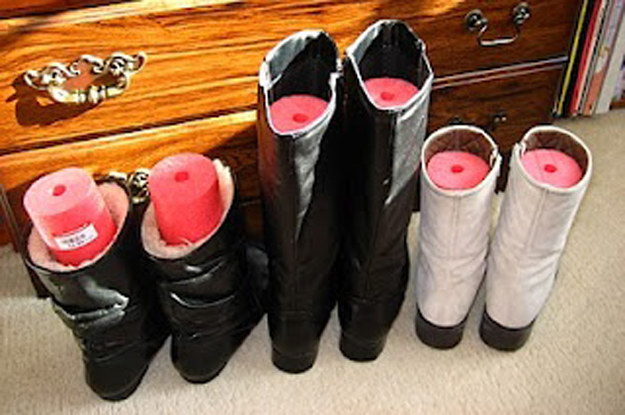 This list contains the top 45 clothing and shoe hacks we know. Be prepared to change the way you think about clothes! This is a great way to get a unique and classy outfit. Non-skinny jeans can be difficult to tuck into a boots. Fix that by doing this simple trick! 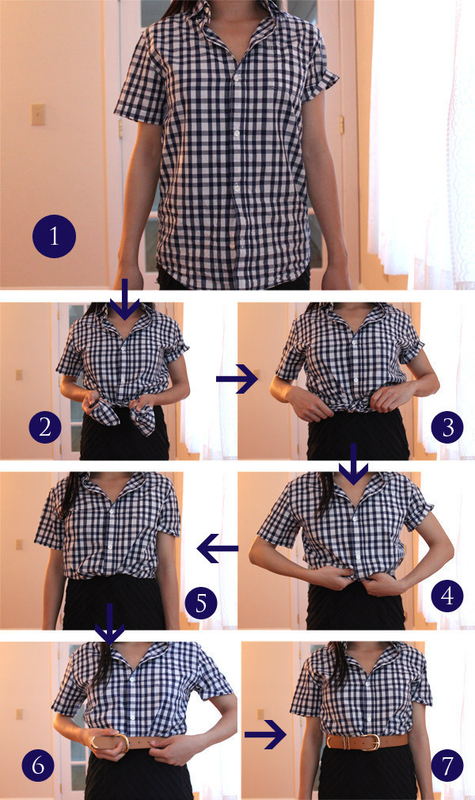 This one simple fashion hack can really make a difference. 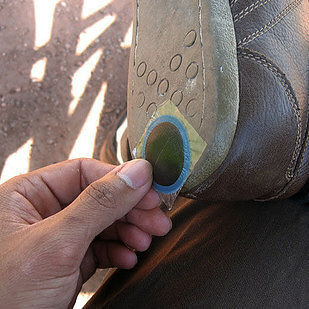 Rubber is rubber, so a bike repair kit can fix holes in shoes! Who knew pool noodles could be this handy? Just cut a pool noodle in half and stick them in. 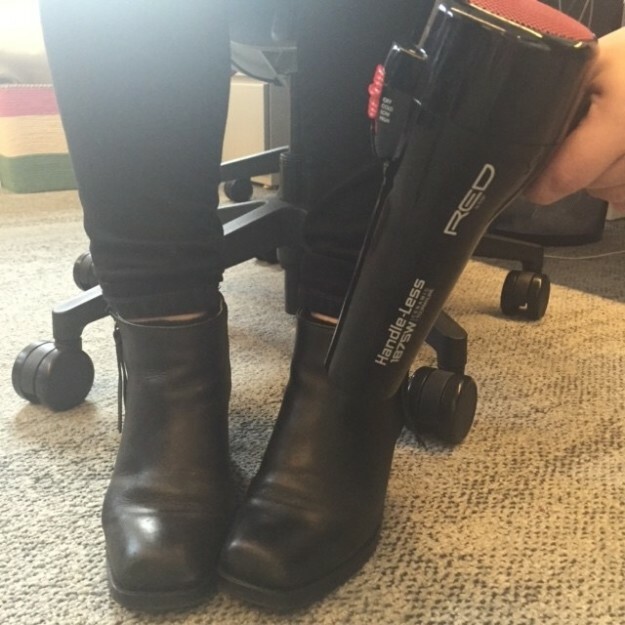 Also keeps boots upright! Have a pair of leather boots that are too tight? Put on a pair of thick socks and blow dry them on high! This is the best thing you can use to get dirt and grime off of shoes. 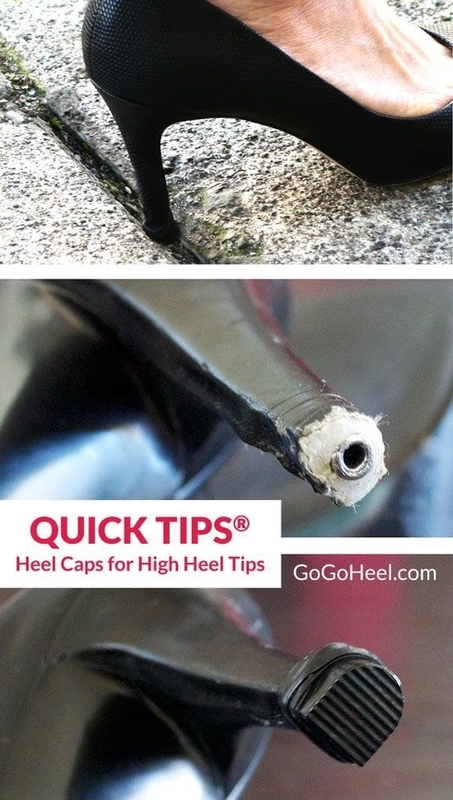 Quick Tips make it easy to repair a busted heel. Carry them with you to prevent a disaster! 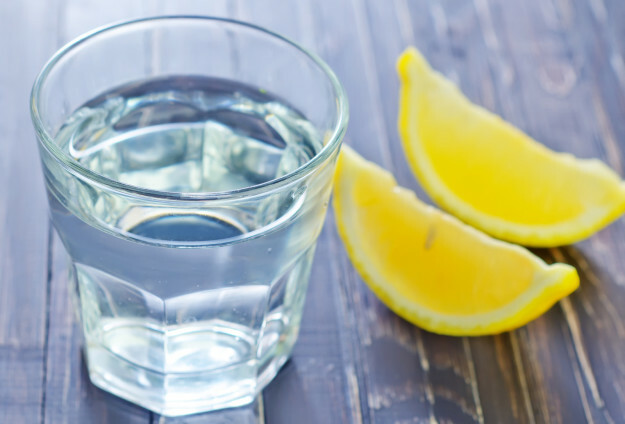 Before you throw your sweaty clothes in the wash, spray them with a mix of lemon juice and water. 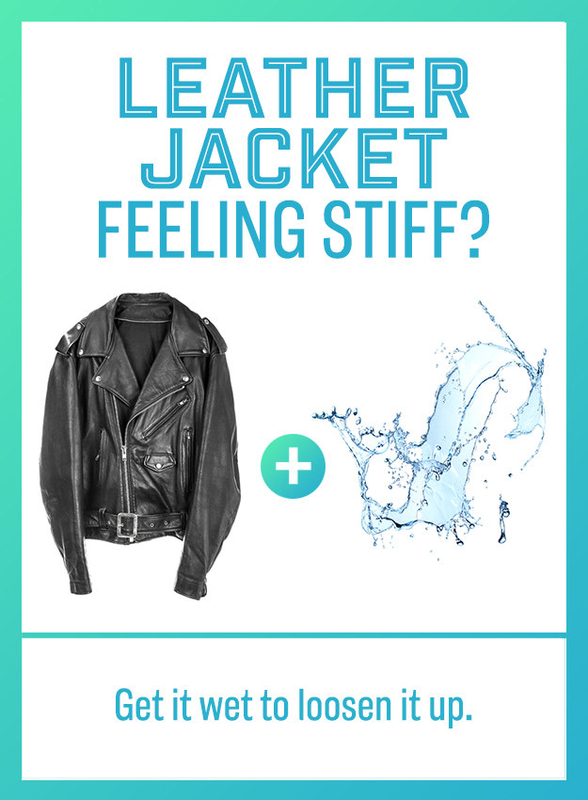 Is your leather jacket too stiff? Just get it wet and stretch it out. Works like a charm! Keep all of your clothes looking new by investing in a lint remover. They are under $10! 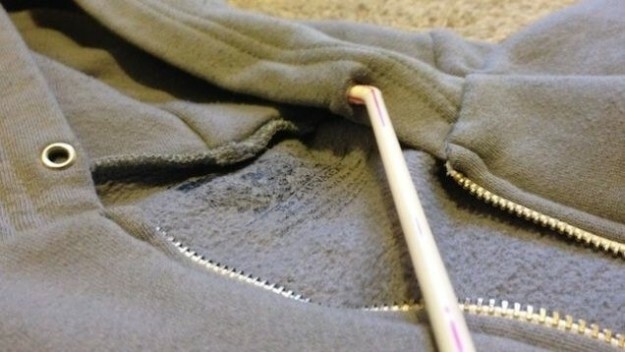 Is the zipper on your favorite hoodie stuck? 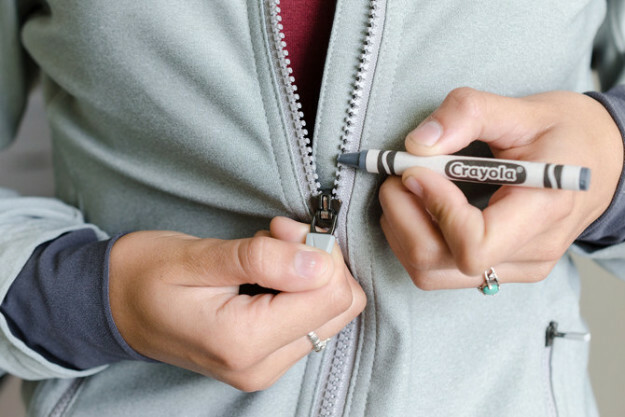 Rub a crayon along both sides of the zipper. The wax helps it get unstuck. Attach a safety pin to a hoodie string to get rid of bunching. 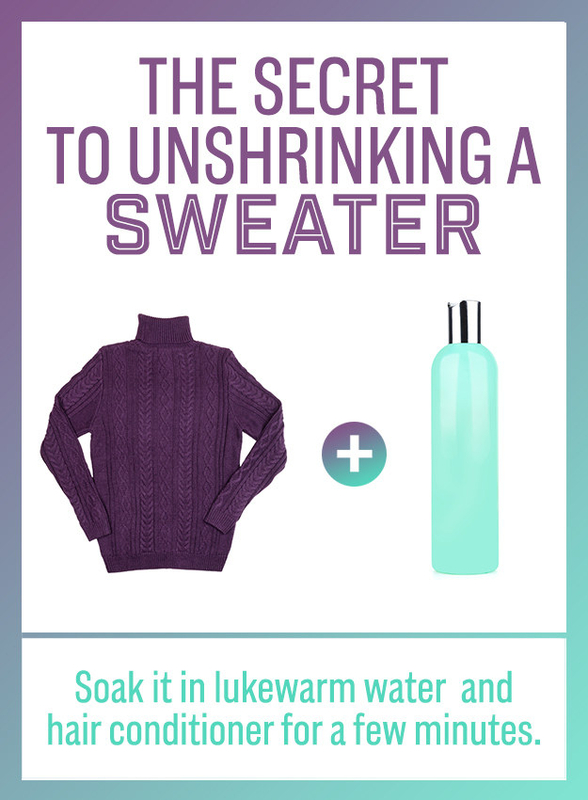 Is your favorite sweater shrunk and no longer fitting you? Put it in warm water and hair conditioner for a few minutes.